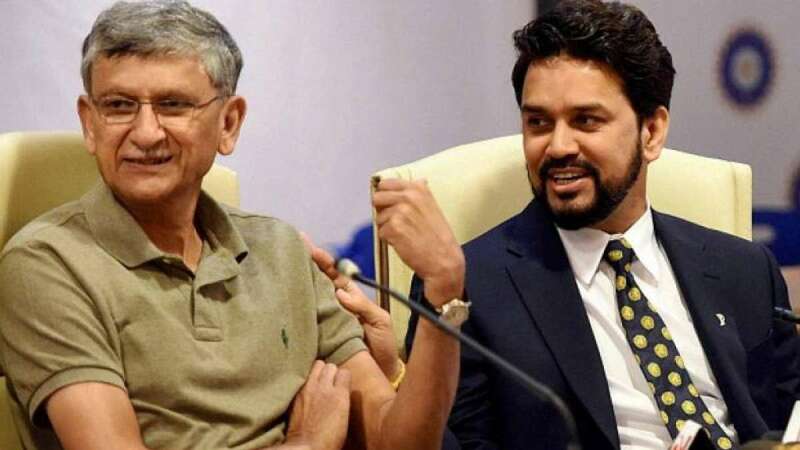 New Delhi : Submitting its report to Supreme Court, Lodha Panel on Wednesday recommended removal of all the top brasses in BCCI including board president Anurag Thakur. Lodha Committee alleged that the Board of Control for Cricket in India (BCCI) is ignoring its recommendations on implementing reforms in the functioning of the cricket body. The panel also requested for an urgent hearing on the matter. Chief Justice of India TS Thakur has set October 6 as the hearing date. "The BCCI thinks it's a law onto itself," said CJI Thakur, calling on the board to respond to the committee’s report. # Lodha Panel on Wednesday submitted its status report to the Supreme Court, noting that BCCI is not going as per recommendations. # Removal of top brasses has been demanded to replace them with new administrators. # Chief Justice of India TS Thakur has called an urgent hearing on the matter on October 6, 2016. # "SC will not allow BCCI to defy court orders.We will pass appropriate orders," CJI Thakur remarked about the cricket board’s defiance. # The Lodha Committee was formed by the Supreme Court after the 2013 Indian Premier League(IPL) spot-fixing scandal.